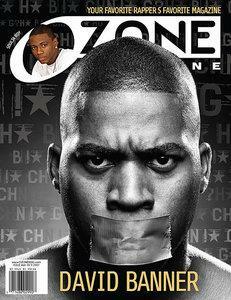 Ozone is an American magazine focused on the hip hop music of the Southern United States. It was founded in Orlando, Florida in 2002 by current editor by Julia Beverly. In 2006 the magazine relocated its headquarters to Atlanta. The magazine provided early coverage of southern artists including Stat Quo, Pitbull, and T-Pain. It has also included articles on musicians from other parts of the U.S. Ozone, including New York rapper Saigon on the cover of the April 2006 issue and Chicago emcee Twista on the cover of its January 2006, and October 2007 issues. The magazine has a small number of staff and contributors. In addition to publisher and editor-in-chief Julia Beverly, features editor Eric Perrin and music editor Randy Roper make frequent contributions. Other contributors include recording artist Killer Mike, Charlamagne, mixtape artist DJ Wally Sparks, Wendy Day (founder of Rap Coalition, and contributor to Murder Dog magazine), and Rohit Loomba. The first annual Ozone Awards were held on August 6, 2006, and were hosted by Houston, Texas. The awards focused on southern artists mostly and included performances by Lil Wayne, Trick Daddy, Rick Ross, Pimp C, and Too Short.